Let’s take a look at some of the most common buzzwords and clear up the reality behind the hype. When we hear the words “back stop” or “red line”, we immediately think of Brexit. They have become buzzwords that have been referenced constantly, to the point that we have all come to be experts in their definitions and the complex negotiating process involving Britain’s withdrawal from the EU. But, the vast rifts between different interpretations suggest that perhaps our understanding is not as concrete as we thought. In fact, one might say that this lack of clarity around all these turns of phrase has, in fact, driven the entire process to a seemingly impossible impasse. Brexit is however not the first situation where this “emperor’s new clothes” approach to meaning has created more confusion than consensus. In a data science context, it’s almost impossible for business leaders to separate the AI from the analytics. So, what is the jargon of data science, what does it really mean, and why should business leaders care? Let’s take a look at some of the most common buzzwords and clear up the reality behind the hype. We’ll start with the big one – what does data science even mean? It started with Coca-Cola’s Chair in Engineering Statistics at the Georgia Institute of Technology, Professor Jeff Wu, who first popularised the phrase ‘data science’ during a presentation more than 20 years ago. Previously the term ‘statistician’ was widely used instead, however Professor Wu held the view that ‘Statistician’ no longer covered the range of work being done by statisticians, and that ‘Data Scientist’ better summarised the multi-facetted role. Today, ‘data science’ means something very different. The most practical definition we can use is that data science is the proactive use of data and advanced analytics to drive better decision-making. It isn’t some elusive unicorn that will fix all of an organisation’s problems, but is a practical approach to using information in a smarter, more business-centric way. From a business point of view, the last part of this definition – “drive better decision-making” - is potentially the most important. If ignored, there is a real risk of doing all the costly, sleek stuff and not actually adding much value. As organisations invest more heavily in data science, it’s important that data science delivers – or face a situation in which data science as a phrase becomes associated with expensive initiatives that do not make a meaningful business impact. Some more cynical advisors will say data science is just a new marketing term for business intelligence (BI). However, whereas BI uses technologies and processes for managing and arranging data to present actionable information to business decision makers, data science is more complex, leveraging advanced analytics and statistics to analyse or forecast business scenarios. Almost everyone seems to be doing it, but current success rates are low. Fewer than a third of organisations have reported that a digital transformation project has improved its performance and sustained these gains. 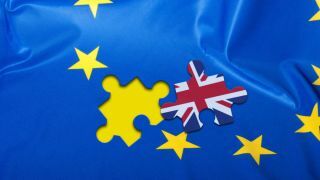 In many ways, digital transformation is the ultimate “Brexit” of the tech world: it means all things to all people, and as a result is proving almost impossible to achieve across the board. Amidst all the misinformation, reports of silver bullet solutions are plentiful, but clarity is in short supply. However, at its core it remains a reasonable strategic priority. Businesses should be looking to invest in the right technology to navigate the era of big data – but cannot expect mythical results off the bat, without sustained careful planning in how to successfully use data and analytics for strategic benefit. Almost as divisive as the UK’s decision to leave the EU, if you believe everything you read AI is either going to create a supreme vision of society’s future, or it’s going to leave us all unemployed and under the control of a computer army. The truth is actually quite different. AI has to do with algorithms that enable the simulation of human intelligence processes by computer systems. AI has unfortunately attracted negative connotations, largely created by science fiction movie franchises like ‘The Terminator’ and ‘The Matrix, which reinforce the perception that AI presents a threat to humanity. AI is not a robot, nor is it a computer army. What it is, is essentially a set of machine-learning algorithms that are applied to unstructured data that ‘appear’ to have human-like qualities. Back in the 1950s, Minsky and McCarthy, described artificial intelligence as “any task performed by a program or a machine that, if a human carried out the same activity, we would say the human had to apply intelligence to accomplish the task.” These days AI systems exhibit some or all of the behaviours linked with human intelligence, such as planning, learning, reasoning, problem solving, knowledge representation, perception, motion and manipulation. The fact that AI seems to have caught the imagination and become such a hyped phrase, means that the bar has been raised regarding expectations of model accuracy. Whereas people seem to understand that analytics is an iterative process where we seek to explain outputs and reduce error, the expectation for AI seems to be that it will just work perfectly with little effort and next-to-no error. As such, there’s significant investment in this area often without much thought as to which questions should be asked in order to deliver the type of outcome that will add business value. Data science helps AI technologies find solutions to problems by connecting similar data for use in the future. Machine learning, the scientific study of algorithms and statistical models used by computer systems to effectively perform a specific task without using explicit instructions, relying on models and inference instead, is the section of AI that works best with data science. Even with an understanding of each of these terms, business leaders could be forgiven for writing off the entire endeavour of becoming data-driven as something speculative, opaque and without likely results. This is because of a tendency, very much like Brexit, to overgeneralise the importance of the buzzword technology, and underrate the core problem we’re looking to solve. We would not like to try and suggest what that inherent challenge might be for Brexit, but for applying data science it’s all about narrowing down the focus to a specific question that a business is trying to solve. From this point, business leaders can work towards finding effective, efficient and expedient ways to apply data and analytics to solve a real, tangible problem, and not get caught out by applying buzzwords without basis.